We have speculated about this for a long time, and now our confirmation is confirmed by Microsoft itself. The company announced its intention to introduce the Xbox Game Pass service on all consumer devices. Including those that have nothing to do with Windows. Xbox Game Pass (access to over 150 games as part of a relatively low subscription) is a service that Microsoft believes will ensure its long-term success. So far, the situation seems to look good for this company. According to the information received from the service provider, once someone starts paying for the Xbox Game Pass, he almost never abandons it. The increased popularity of Game Pass games has a positive impact on their sales results - for example, in people without Game Pass or through micro-transactions or extensions - and Xbox One offers players something unique, foreign to other platforms. It is no wonder that Microsoft spends a lot of money on promoting the service and reaching more and more players with it. Both to those with Xbox One consoles and those with Windows 10 PCs (where the Xbox Game Pass is supposed to significantly increase its presence). She wants to strengthen her position and significance. But this is not the end. Xbox Game Pass is to hit all devices players have. What was announced by Phil Spencer, head of the Xbox. At the same time, these devices are also mobile devices with iOS and Android. How come, if Microsoft has no control over them? Project xCloud has to help here. But what about the game developers? What does this mean for consoles as hardware, at least those of the Xbox brand? With so much official information, we can stop speculating and start drawing the future of the gaming market with the eyes of Microsoft. The future that few companies can create due to the lack of technical capabilities. One in which the Redmond company has a huge chance to become a trendsetter. The Xbox One console will always be the best playing equipment. These ambitions are not wishful thinking, but the words of the same Phil Spencer. He still thinks that efficient equipment that converts tasks related to the operation of a video game locally will provide the best experience from the game. Hence the idea to burn up Xbox One consoles with a much more powerful model Xbox One X. And that's why another edition is being created: apparently with Zen 2 architecture, where the resolution of 4K at 60 frames per second in games is to be the standard. At the moment, however, the Xbox One X costs as much as 1.7 thousand. zł. 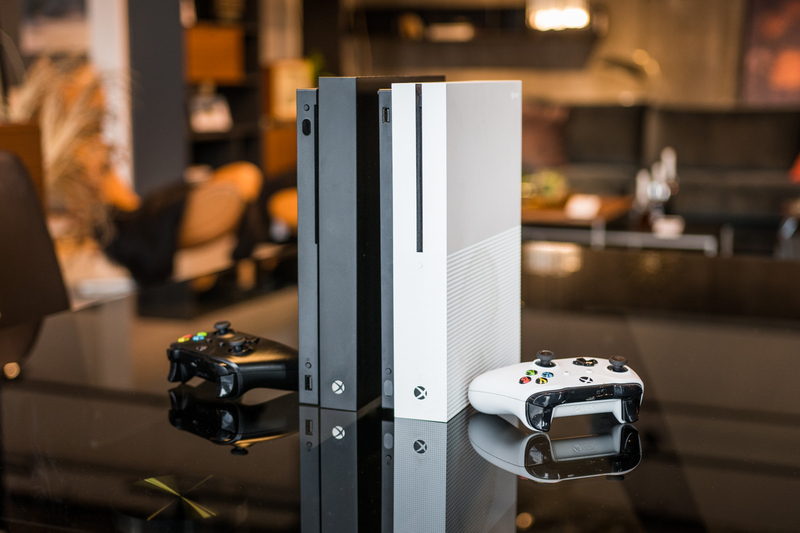 Therefore, the company plans to continue offering cheaper Xbox One S. Although, actually, I should write even cheaper: Microsoft intends to lower the price of this cheaper console by the cost of expensive UHD Blu-ray drive. It is not clear how this will affect the price of the S-version of the current PLN 900. There are many indications - and this is the only speculation in this text - that Microsoft will sell the equipment at a loss. Believing that he will make up for periodic payments for the optional Xbox Live Gold and Xbox Game Pass. The offer could be as follows: Xbox One S "for PLN 1" and about PLN 50 monthly for Live Gold and Game Pass with a two-year commitment. So for 4 games for free monthly selected by Microsoft and several dozen (several hundred?) Of subsequent games made available on the same principles as films and TV series on Netfliks. You can continue to buy games on your own. Including on the discs: it is said that there will be some mechanism for binding the game with a non-powered console on the disc. This is a temporary offer. Ultimately, it is supposed to look even better. There are already pilot programs in the United States that treat the Xbox as a service. By joining them, we get Xbox One S or Xbox One X devices "for free" - but with a monthly subscription commitment. Lower for the S version, higher for the X version. Of course, the Xbox Game Pass and Xbox Live Gold are already included. In the future, there will be another version of such a subscription plan. No console. The Project xCloud mentioned at the beginning of the text comes in here . Microsoft (and Google, as a competitor) are getting closer to launching platforms for streaming video games with very low latency in control and high resolution. Games on Xbox One will be able to be played from the level of our phone or a simple netbook. All you need is high speed internet and a powerful network card. Xbox as a service in three versions. No equipment, with less expensive equipment and more expensive. At the same time, even with the most efficient ones, we will still be able to use streaming games - for example in a business trip or on holidays, when we are away from our living room TV. So-called exclusive games (available exclusively on the Xbox platform) would function like Netflix Originals. Attracting new players to the service and keeping them there for consecutive seasons sequels and DLC. In this way, Microsoft satisfies everyone in principle. Conservative players: because they will still be able to function on the existing rules, buying games digitally or on CDs. "Progressive" players who do not need to own games, preferring unlimited access to more titles on a lender basis. External game developers by providing them with an easy way to reach a significantly enlarged customer base. And finally himself: because it will be Microsoft that will delete commissions from all this. Microsoft is currently throwing money to the right and left, buying more and more recognized developer studies into ownership - not wanting to repeat the problems of Xbox One, criticized for a small number of exclusive games. Undoubtedly, however, the future of games - like the future in principle - is seen in the cloud. It is significant that it is not Sony or Nintendo that become its biggest competitor. Only two companies are able to respond to Microsoft's big plans, which are Amazon and Google. The latter is also already testing its gaming service , although it does not seem to be planning to produce the console itself. Will Japanese rivals decide to take a similar step? With the help of Amazon or without it? We do not know that yet. In truth, we also do not know how the idea of ​​Microsoft will be accepted by players. Sony and Nintendo are greatly liked by them and have a lot of loyalty for decades. It seems to me, however, that pragmatism will ultimately win. So, how attractive Microsoft's offer will be at affordable prices and at what technical level it will be implemented. Do not forget that Sega had iconic game brands and a large database of dedicated players. That I will not mention Atari.